Spiritual Evolution of the Bean: 1st Official Biffybeans Interview on Art is Fun! 1st Official Biffybeans Interview on Art is Fun! 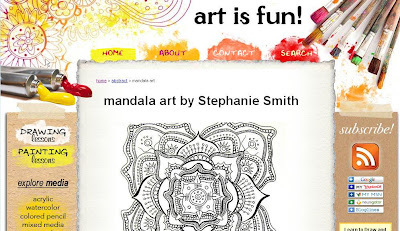 If you have ever been curious about how and when I started making mandalas, what my favorite media is to work with, and what my mandala workshops are all about, please take a few minutes to visit one of my most favorite blogs, Art is Fun! 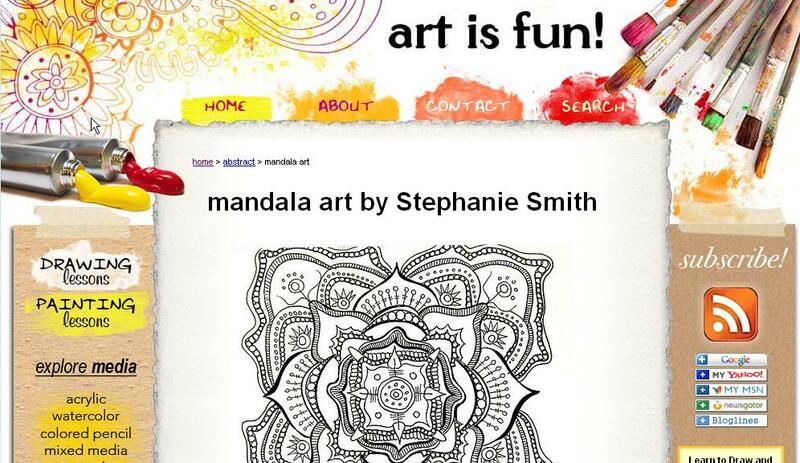 where I was recently interviewed by Thaneeya McArdle as a featured artist on the site. If you have any additional questions you would like me (to do my best) to answer, please feel free to e-mail me at stephanie at biffybeans dot com. Great interview Stephanie! I didn't even know what a mandala was until I got into the fountain pen craze and chanced upon your art but I found myself drawing mandalas afterward. "Stephanie Smith: Art for Evolution"
All content Copyright 2008-2016 by Stephanie M. Smith. Awesome Inc. theme. Powered by Blogger.